To help players improve their accuracy, try this “dynamic ball control” drill. 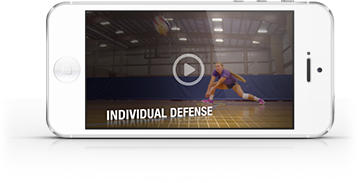 Presented in this video by two-time Olympian Cilene Drewnick, this lively drill keeps players in constant motion. Here’s how it works: players must quickly transition from the role of passer to setter to hitter in a non-stop rotation. This teaches them to find the target and get their bodies in proper position to handle the ball. The drill can be modified to work with 6 or more players at once.